The computer giant continues to slim down as PC sales cut out. Computer behemoth Hewlett-Packard has said it is cutting 1,124 jobs in the UK, as part of a plan to axe jobs globally. Over 600 jobs are due to go in Bracknell, 500 in Warrington and 23 in Sheffield, Unite union was told in a meeting with HP managers. 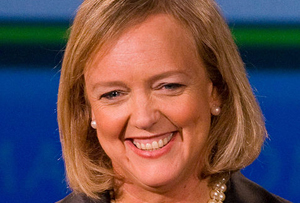 Last year HP said it would cut around 27,000 jobs worldwide by the end of 2014, about 8% of its workforce in 2012. ‘HP remains committed to supporting the employability of its employees through a number of internal initiatives, including re-skilling, redeployment and support to obtain alternative employment as appropriate,’ a HP spokesman said. That’s a tongue-twisting mouthful of jargon right there, but between the lines HP is keeping tight-lipped about how many employees will get rehired in new roles. With uncertainty abounding in the run-up to Christmas, it seems winter really has come for HP’s UK staff, and Unite union blasted HP for apparently being ‘addicted to a culture of job cuts in the UK’. HP has struggled to adapt to the exploding market for tablets, as PC sales continue to plummet. Global PC shipments were down 10.1% this year, the largest annual fall on record, according to the International Data Corporation. As HP tries to turn the corporate tanker towards networking and servers, PCs increasingly look like a fossilised albatross around the company’s neck. The job losses follow a tumultuous couple of years for HP, after it wrote £5.7bn off the value of Autonomy last year, having bought it for $11.1bn (£6.8bn) in 2011. The Cambridge-based software company’s top staff, including CEO Mike Lynch, had already jumped ship before being accused by HP of ‘creative accounting’, a charge which they deny. Job losses aside, chief executive Meg Whitman’s turnaround might still bear some tasty tech fruit. Last week, HP reported that fourth-quarter revenue fell 3% to $29.1bn from the previous year, a smaller fall than investors expected. Whitman’s plan will, at the very least, probably be more successful than her ill-fated run to succeed The Terminator, Arnold Schwarzenegger, as the governor of California. After a decade heading Ebay, she splurged $144m of her own fortune on losing the 2010 election. A poor investment if there ever was one.